It’s Halle Henry’s final year at Lakeview Academy, and she is determined to make it her best year yet. But when drugs are discovered in her boyfriend Alex’s backpack and he is expelled, Halle’s life spins out of control. Refusing to believe the accusations against him, Halle vows to get to the bottom of what really happened and bring Alex back to campus so they can graduate together. Now, all Halle has to do is save her boyfriend, solve a murder, graduate from high school, and keep from getting killed in the process. 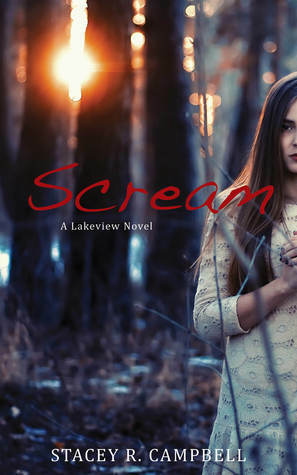 I was only given the third book to read in the Lakeview Novel Series. That being said, this cannot be read as a standalone novel – the reader would be much too confused. This series is too unbelievable for my taste – like when shows “jump the shark”. The sister is secretly royalty. A student just happens to witness a murder on a ferry and the murderer works at his school. Also, that murder and his wife are actually from Florida where they escaped jail time by hiding out in Canada for an unsolved drug case. And of course, a student solves it all! I’m going to give the author the benefit of the doubt that she did all of her world building and character development in the first two novels, because this one lacked it. I would recommend it to readers that the style of “realistic” fiction that Sara Shepard (ie. Pretty Little Liars, Lying Game) writes.